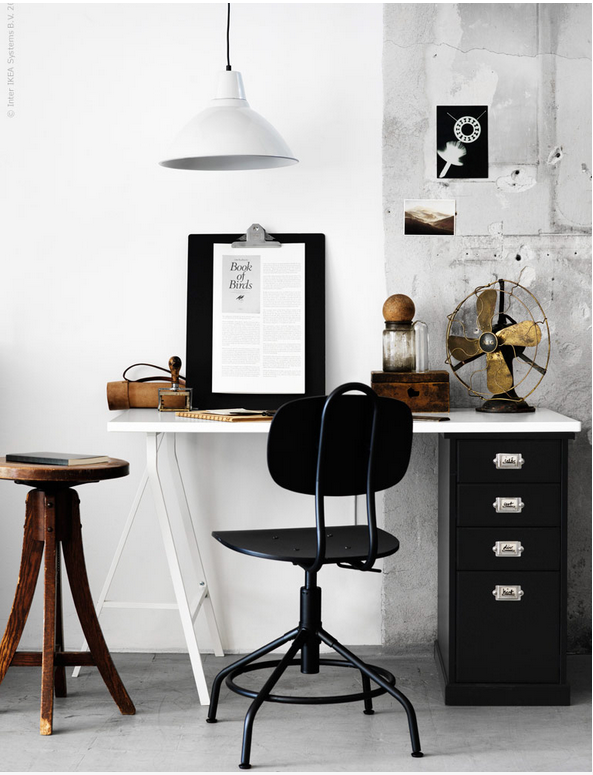 Swooning over the new IKEA office chair KULLABERG, inspired by vintage industrial style but with all the modern features. Designer Sarah Fager says, "When I started sketching the KULLABERG chair I had recently visited a flea market in Paris with beautiful worn vintage furniture. The challenge was to make a rustic chair inspired by the industrial style but with the same features as a modern chair. 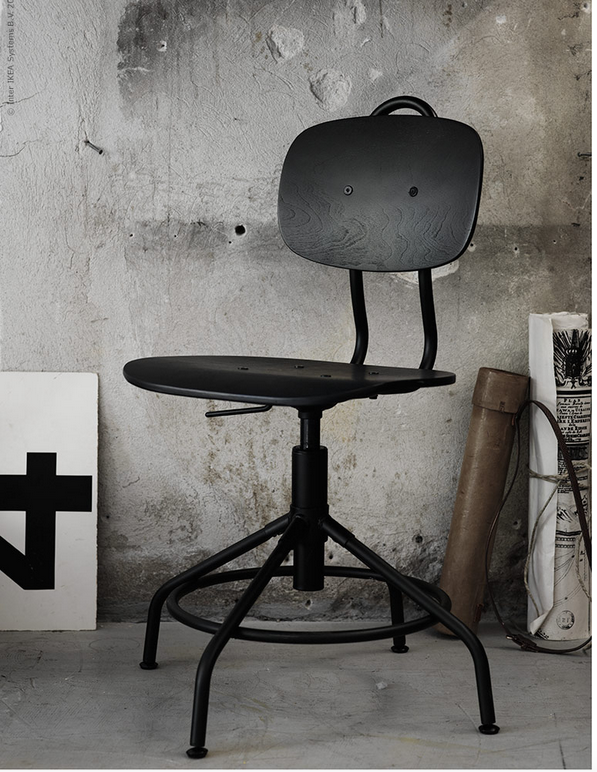 The result is a simple, honest and timeless chair that is really comfortable to sit on . " Can't wait to try it out! Same goes for the KLIMPEN drawer unit matched with the LINNMON + LERBERG table and trestle. Hi, where is that gold fan from? I'm not sure if you purchased it or if it was a diy. I cannot seem to find a search bar for your site .